Meticulously maintained with updates throughout. New Luxury Vinyl Tile (LVT)flooring throughout living areas. Kitchen features SS appliances, Corian countertops, NEW Backsplash, NEW faucet, and tile floor. Updated lighting and fans in all rooms. Spacious master with walk-in closet and updated bathroom to include faucets and lighting. Custom screen door added to balcony to better enjoy the Carolina weather. Open floor plan with tons of natural light. Covered balcony which faces the pool. Awesome location! 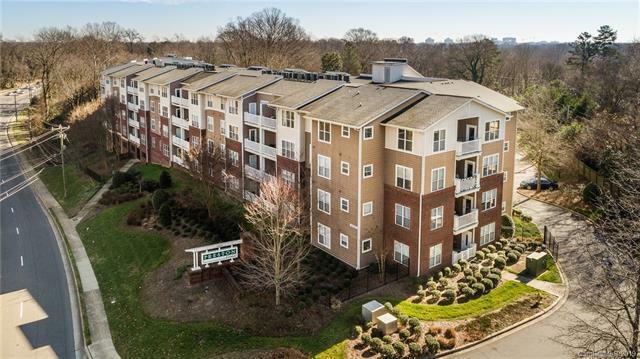 Within minutes to the light rail, Park Rd Shopping Center, and a short commute Uptown. Home Warranty included.